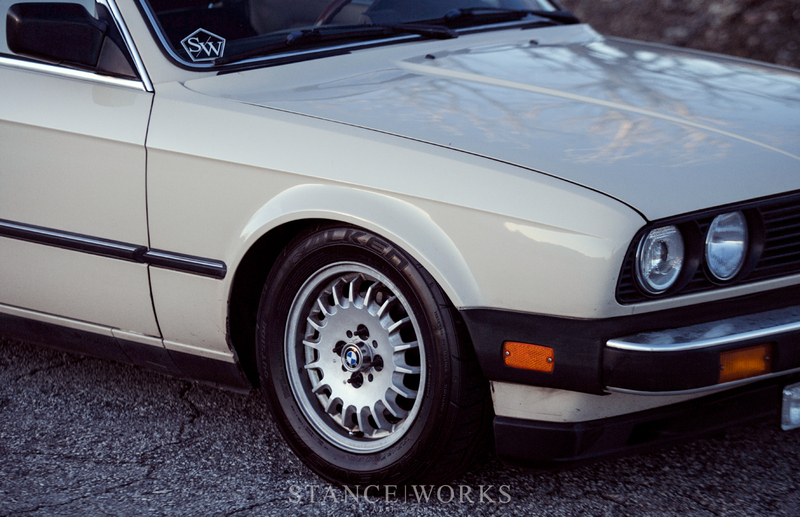 For every classic BMW fan, there are a few universal truths. For one, there's no car quite like one with a Roundel... although that may be a bit subjective. Another, a bit more inarguable, is the limited suspension options available for these classic cars. While a McPherson strut assembly is tried and true - and still used on BMWs to this very day - the classics are at a bit of a disadvantage. 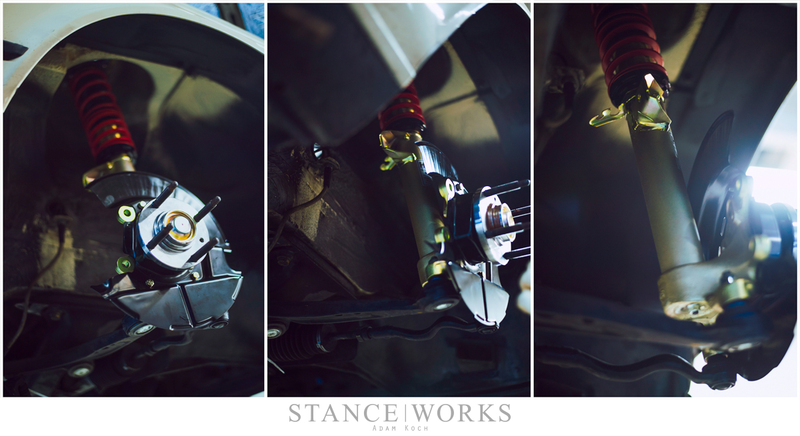 Everything from the E9 and 2002, up until the E28, E30, and E34, all use a McPherson strut assembly with the spindle affixed to it. This means aftermarket options are few and far between. There's nothing wrong with a good spring-and-shock combo. That's how it's been done since the early days, and even today, it's arguably the best bang for the buck when it comes to improving your car's driving characteristics and giving it a bit more of a low-slung attitude. 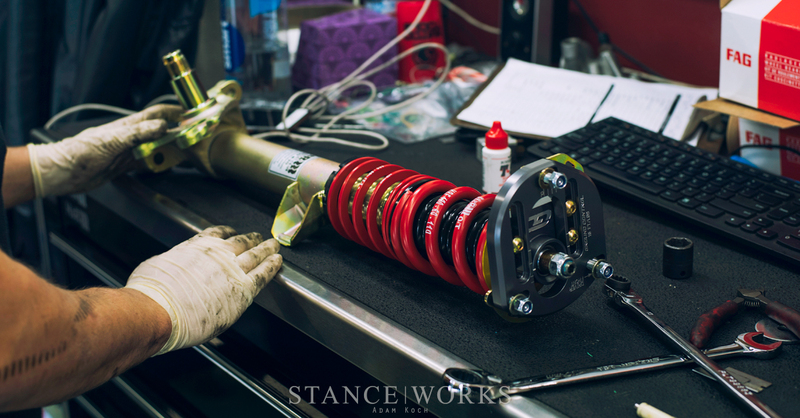 However, for those wanting more, be it in the realm of performance, or simply more drop, there's nothing that can hold a candle to a real set of coilovers, or a nice air suspension setup, depending on your goals. For most cars out there, off-the-shelf options are readily available, ready to be bolted on without much effort at all. For those of us with our spindles affixed to our strut housings, however, we've been jumping through hoops for years. 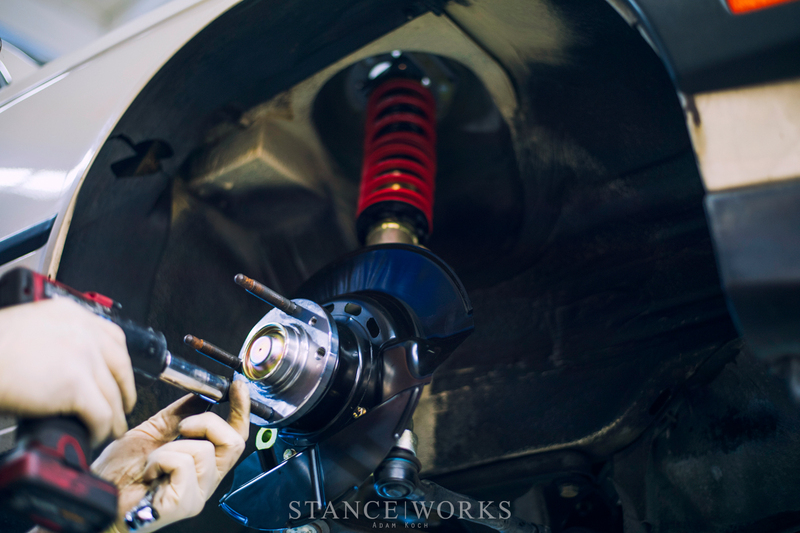 Most coilover and air suspension kits require cutting and welding - transferring of the original spindle assembly, which is needed to mount the wheel bearings, brakes, rotors, and more, to a new suspension system. It's no easy task for the layman or your average weekend warrior, and the resulting kits are almost always a bit universal. While some are tailored to your needs, more often than not, you're met with a parts-bin solution for lowering your BMW, with weldable tubes, threaded perches, springs, and shocks, all in need of assembly. On the other hand, the team at H&R Springs has had, for quite some time, quite the trick up their sleeve. 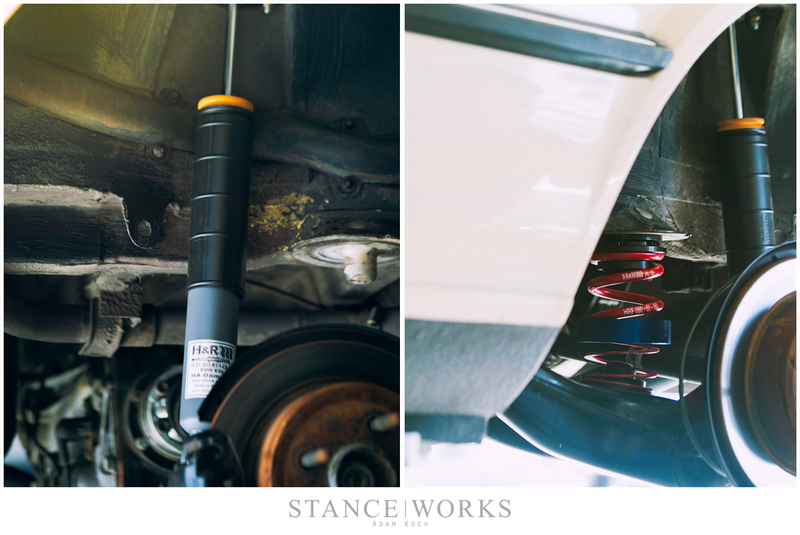 Unsatisfied with the Erector Set mentality to coilovers on vintage BMWs, they've made some serious improvements, and they've done it by offering little-known complete coilover assemblies for our classics for years and years. As a bolt-on solution, the world of lowering our BMWs just got a whole lot easier, presuming you were in the dark before. 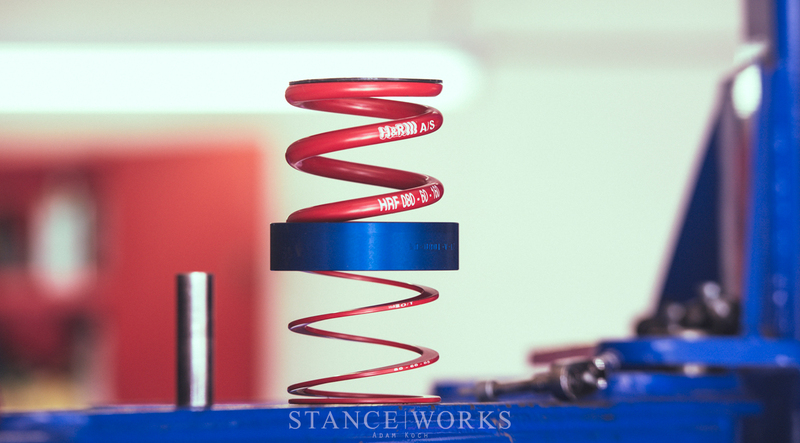 Using supplied cores, the H&R team tests OEM factory spindles for trueness before machining and pairing them with their monotube gas-shock coilovers. The entire system is, of course, built in Germany, and each kit is engineered specifically for each chassis. 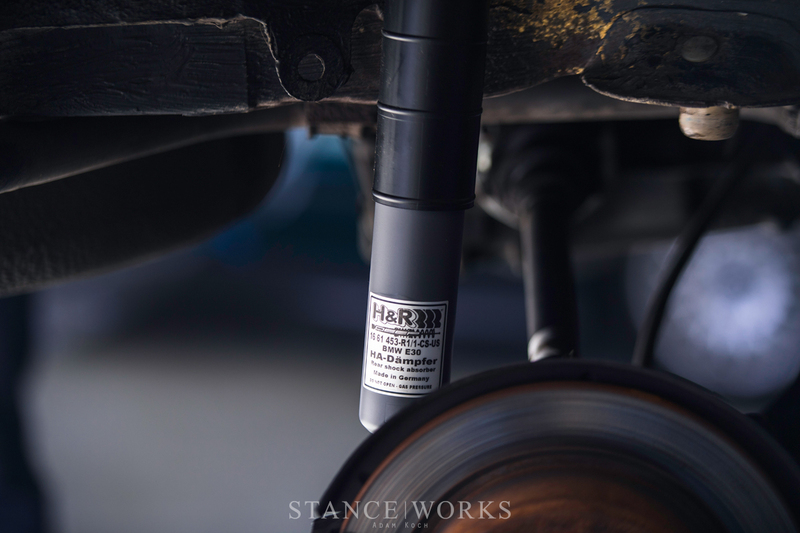 Variables such as vehicle weight, suspension travel length, damping, rebound, and more, are all taken into consideration, and derived by using actual cars for analysis. Unlike the parts-bin approach, H&R's systems have been tested, refined, and improved to prove the renowned quality the brand is known for. 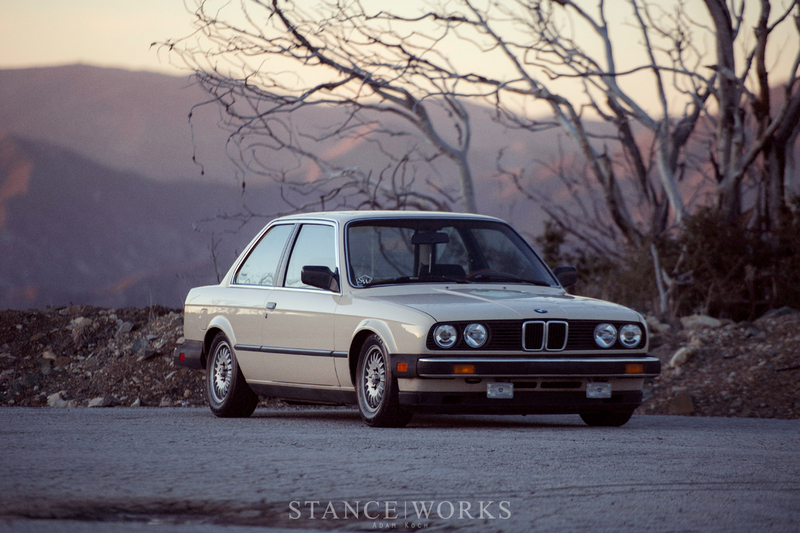 Aside from being one of the only bolt-on solution for your E30, E28, E9, or any other classic Bimmer, we're bound to say it's likely the best option as well. 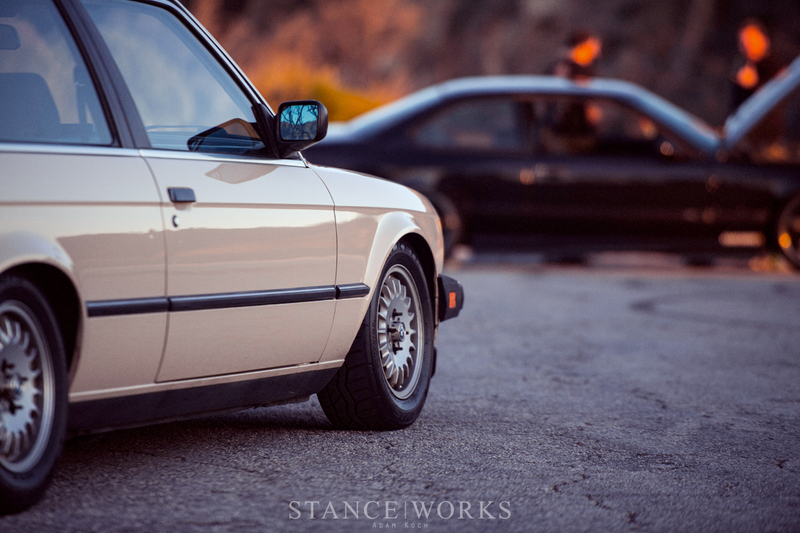 As such, it was our go-to when updating the suspension on Byron Wilcox's '84 318i, and we paired them with a fresh set of H&R sway bars. As a bolt-on affair, installation was as simple as it gets. In the rear, it was as easy as dropping the rear shock: two bolts up top and one on the bottom. The new spring was swapped in, and the new shock was slipped into place, and then reassembled. The front wasn't much more work; after removing the 3 nuts for the strut hat, the two bolts for the brake caliper, and the two bolts for the spindle base, the front was ready to swap in as well. During assembly, fresh wheel hubs were installed for good measure. With the car finally on the ground, a sprint through the mountains was in order. 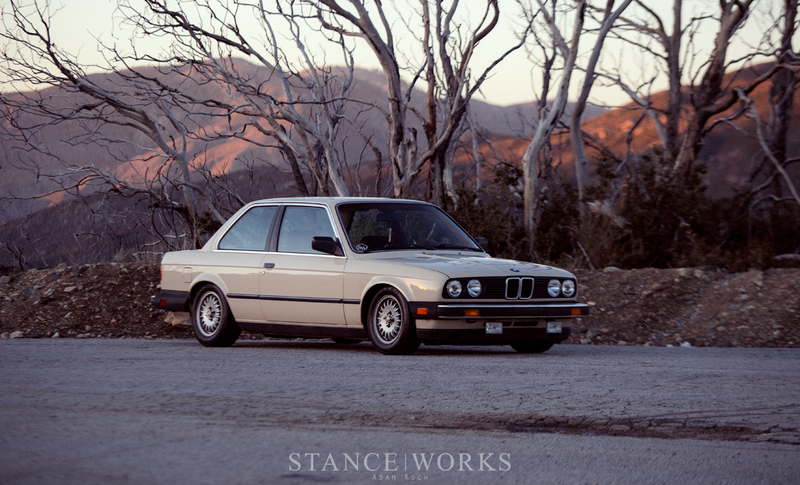 Following the installation, Byron gave the suspension a break-in with a quick run up Glendora Mountain Road. After numerous DIY coilover kits, as well as spring and shock combos, Byron - as picky as they come - is happier than ever. 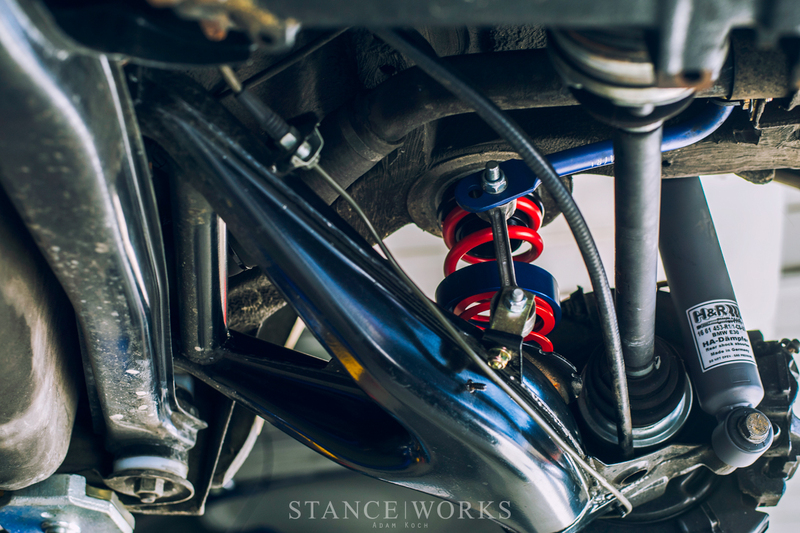 More than anything, we here at StanceWorks, as classic BMW enthusiasts at heart, are excited to share that such an option exists: coilover systems truly engineered and built for the cars we love. So, are you interested in a set? Get in touch with the team at HRSprings.com to make an inquiry for a set of your own, be it for an E30, E28, E9, or any other roundel-sporting classic tourer. super clean beautiful car. can’t wait to really start getting into mine. 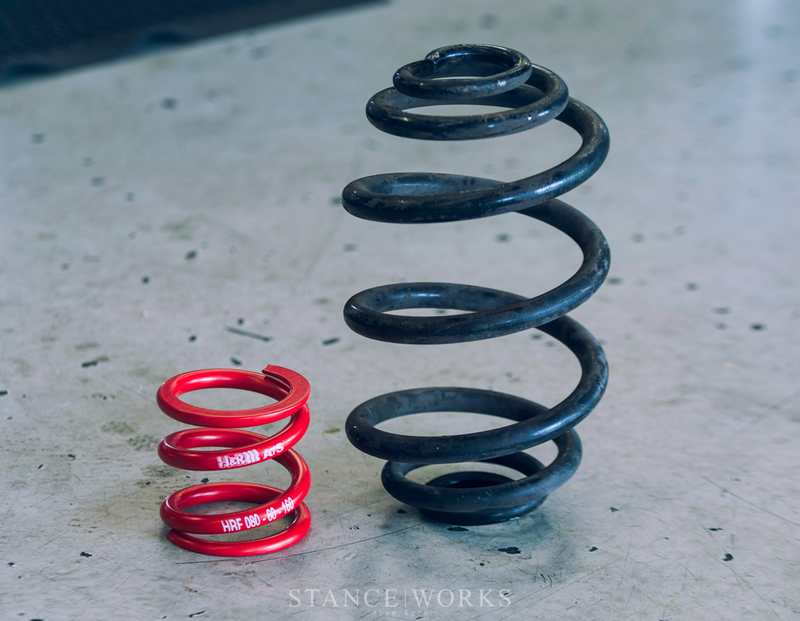 Ive looked on their website and also cant find their on the H&R springs email. But I would be very interested in a set of those coils, but I cant seem to find it. Anyone else able to find them?